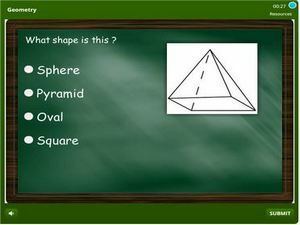 1st grade geometry quiz for kids online – Here kids will learn how to identify mathematical shapes like square, circle, triangle, rectangle, rhombus, hexagon, pentagon and more. 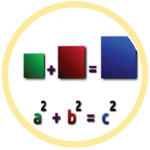 Before taking this skills students should hopefully have learned the names of shapes, how to draw them and how to different them. Kids will also learn how to count sides and vertices of shapes, learn the notion of symmetry and to relate shapes to everyday objects.